Remember the warm days of summer and a romantic stroll on the beach, hand in hand with the one you love. 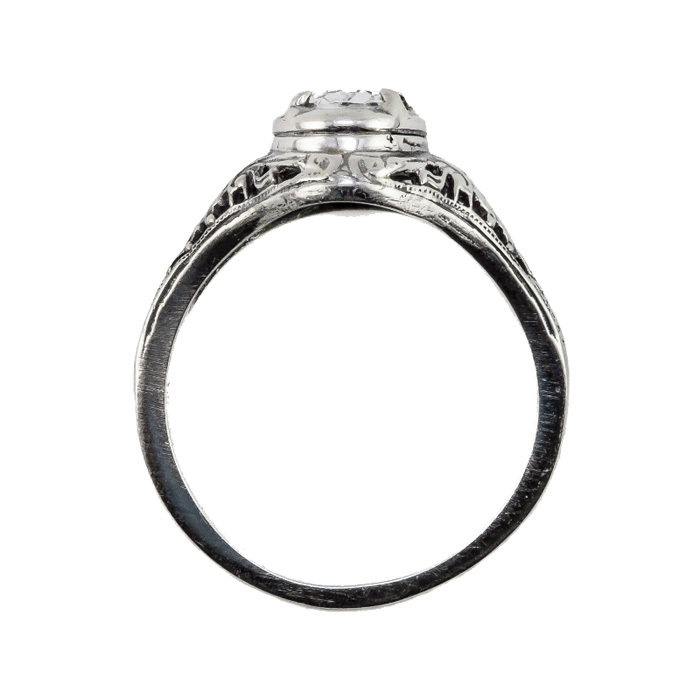 An understated and unique white topaz set in 14K white gold creates an engagement ring as precious as your love. 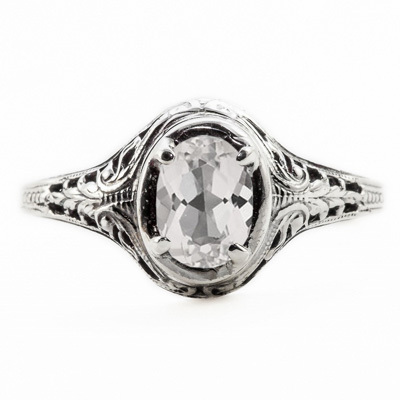 The art nouveau style shines through the crystal clear white topaz jewel. The jewelry experts at Apples of Gold has shown just how talented they are with this valuable and unique piece of jewelry. Measuring 7mm x 5mm. You will realize your dreams have come true when he gets down on one knee and slips this stunning white topaz ring on your finger. 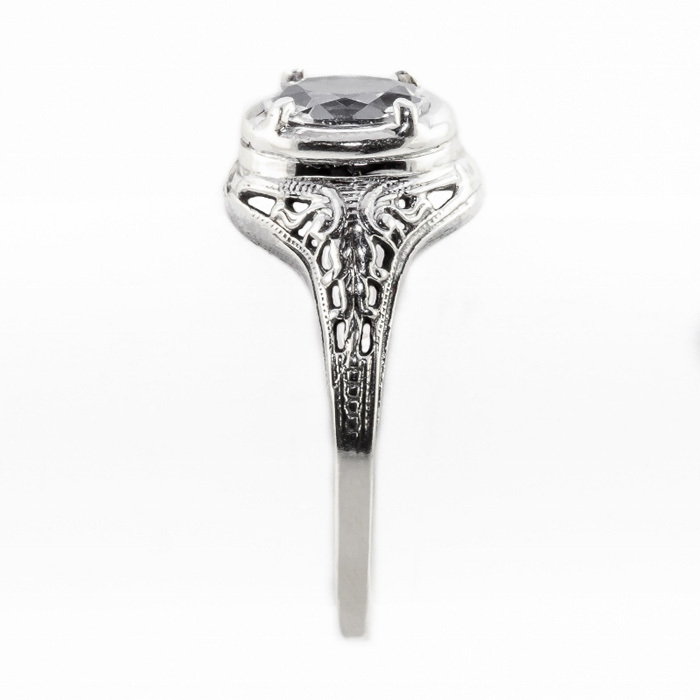 We guarantee our Oval Cut White Topaz Art Nouveau Style 14K White Gold Ring to be high quality, authentic jewelry, as described above.